Speedboat Shooting is the deadliest journey you will ever pilot out on the open sea! 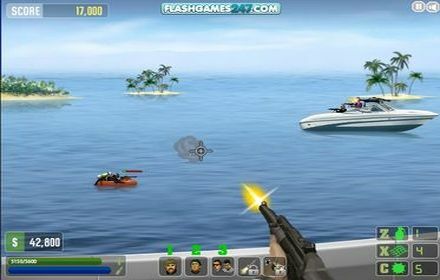 Defend your speedboat as you fend off waves of enemy attacks. Upgrade your guns & turrets, and use the extra special air support to help you!